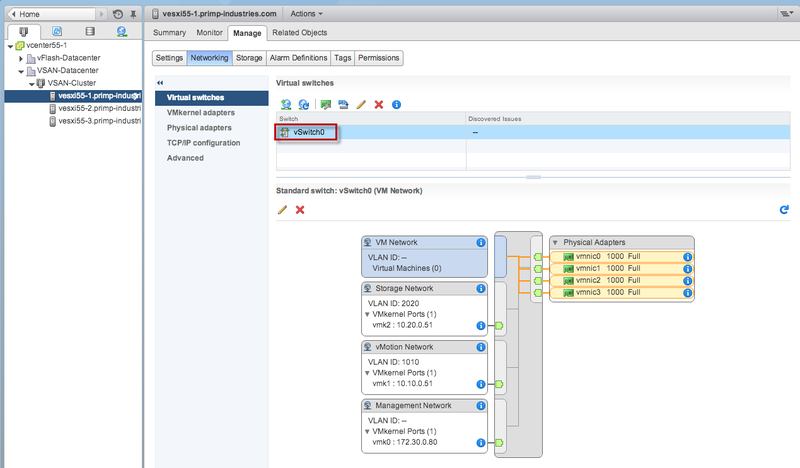 Last week I demonstrated how you can easily leverage the new PowerCLI 5.5 VDS cmdlets to migrate from a VSS (Virtual Standard Switch) to a VDS (vSphere Distributed Switch). During the development of the script, I needed a way to easily jump back and fourth between VSS->VDS and VDS->VSS and I wanted to automate this so I did not have to use the UI to reset my environment. I initially thought this was not possible after playing around with a couple of the cmdlets but thanks to Kamen, a PowerCLI Engineer who was able to provide me with the necessary information to create a reverse migration script going from VDS to VSS. 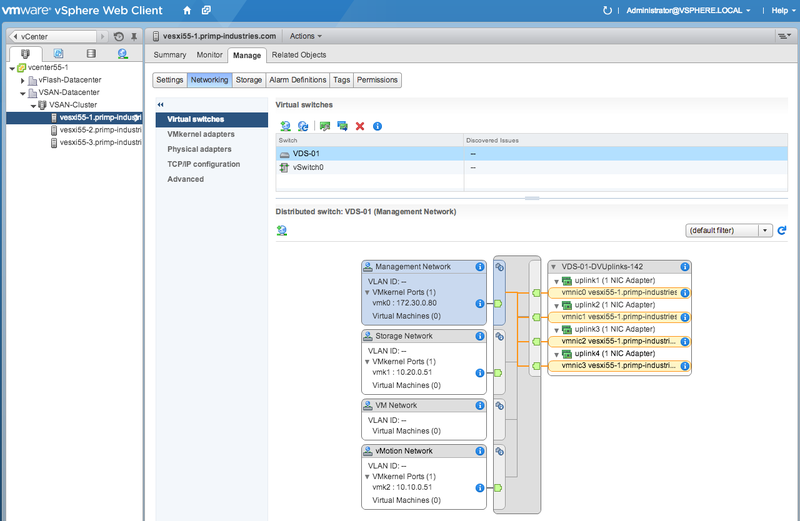 Here is what my lab environment looks like which includes three ESXi hosts connected to a VDS called "VDS-01" which is backed by 4 pNICSs. 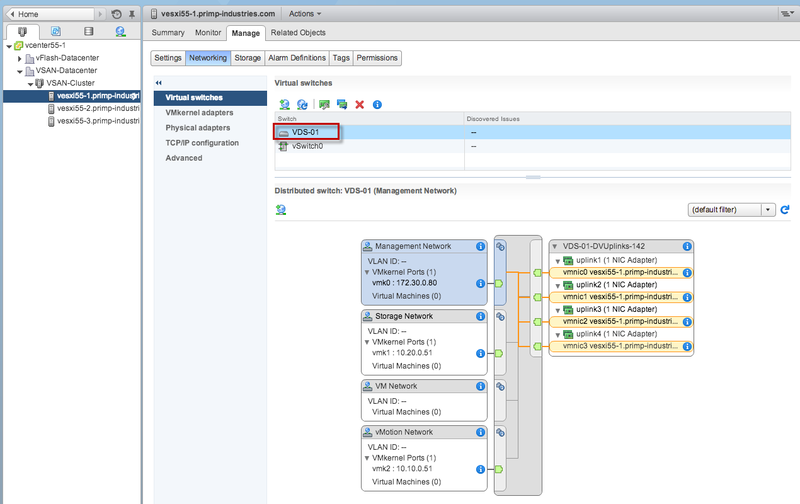 The VDS contains 3 VMkernel interfaces and here are their respective DVPortgroup names: Management Network, Storage Network and vMotion Network. 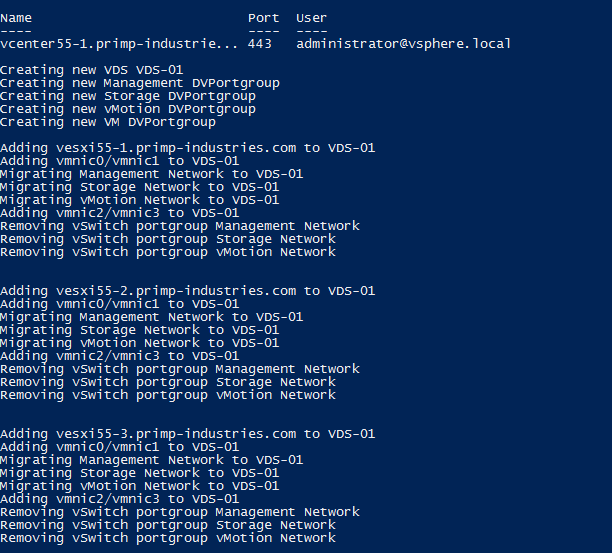 The PowerCLI example script below uses the Add-VirtualSwitchPhysicalNetworkAdapter cmdlet which accepts a list of pNICs, VMkernel interfaces and the portgroups to migrate from VDS to VSS. 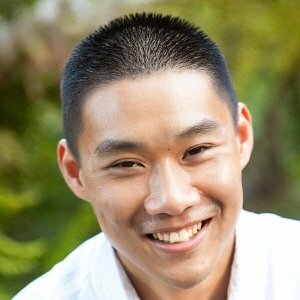 The order in which the VMkernel and portgroups are specified is critically important as they will be assigned based on the provided ordering. 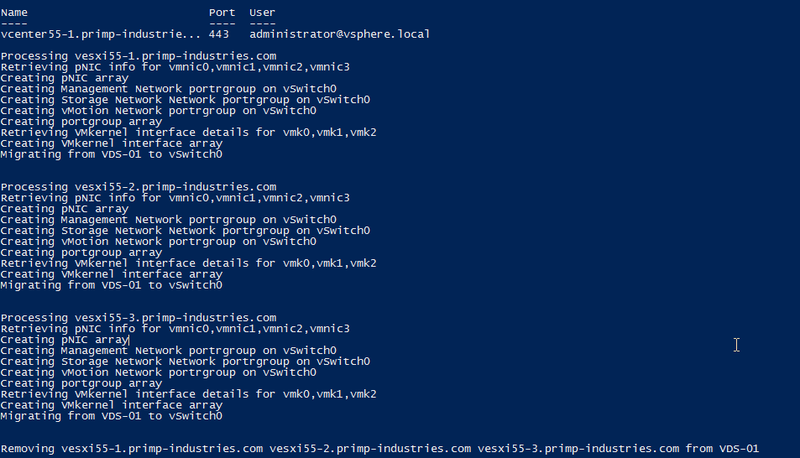 The script also create the necessary portgroups on the VSS which of course can be modified based on your environment. Once the migration has been completed, it will then use the Remove-VDSwitchVMHost cmdlet to remove the ESXi hosts from the VDS. Write-Host "Retrieving pNIC info for vmnic0,vmnic1,vmnic2,vmnic3"
$vmnic1 = Get-VMHostNetworkAdapter -VMHost $vmhost -Name "vmnic1"
Write-Host "`Retrieving VMkernel interface details for vmk0,vmk1,vmk2"
$storage_vmk = Get-VMHostNetworkAdapter -VMHost $vmhost -Name "vmk1"
$vmotion_vmk = Get-VMHostNetworkAdapter -VMHost $vmhost -Name "vmk2"
Write-Host "Creating VMkernel interface array"
Write-Host "Migrating from" $vds_name "to" $vss_name"`n"